My name is George, and I live in Piedmont, South Carolina. 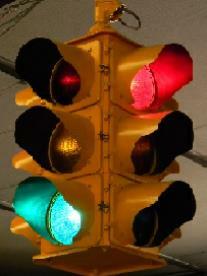 Ever since I can remember, I have been fascinated by traffic lights. 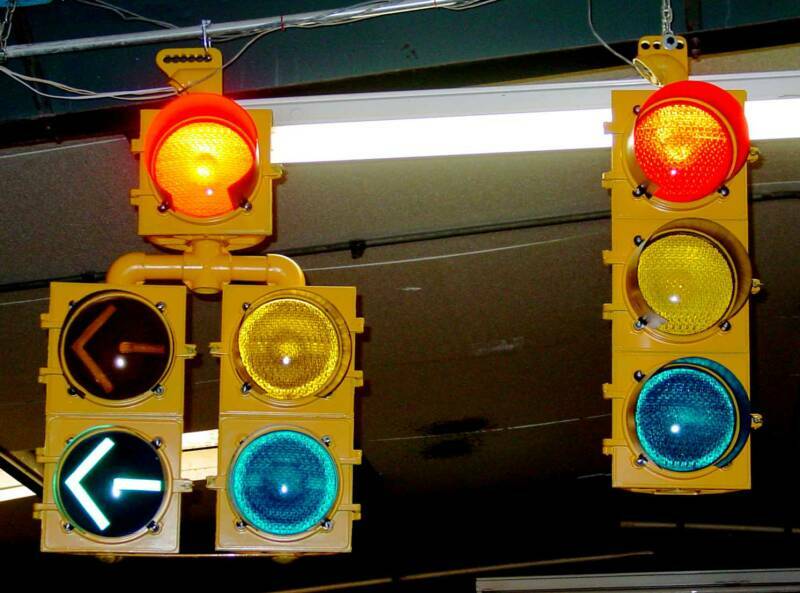 I always wanted to have a stoplight that would change from green, to yellow, to red. And then one day my wish came true! 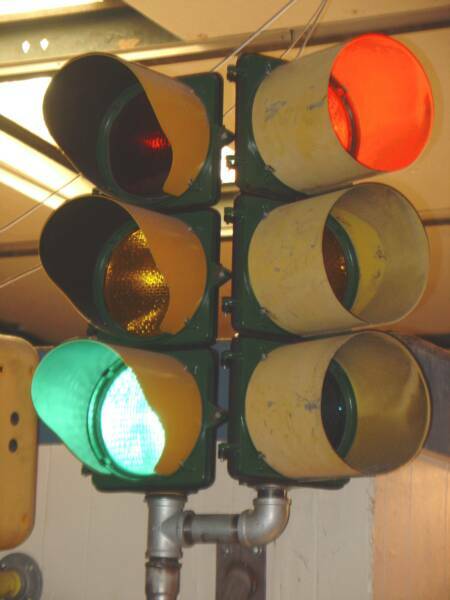 My dad was in an antique shop in Louisville, KY in 1980 and came across a black stoplight and bought it for me. I was thrilled when I came home from school and found it in the corner of my room! 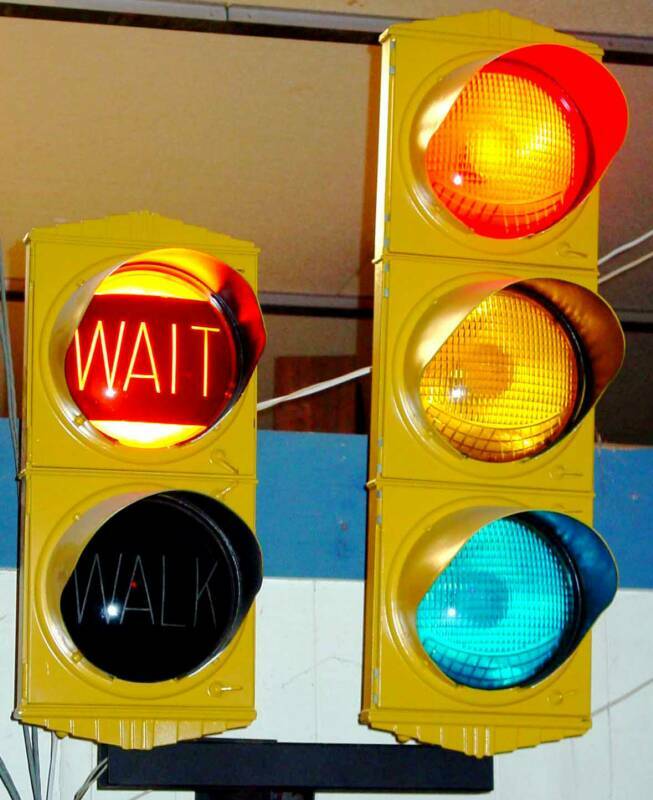 At first, it was like any other stoplight you buy from a place like that. All three lights were wired to an AC plug. Then, my dad got some of those blue flasher buttons for the light sockets which made the lights flash randomly...But still, I wanted control of the light. So, an engineer friend of mine wired the light to three toggle switches. This was great! Now I could control the light! However, the light still didn't change on it's own, so I started thinking about how I could build some kind of timer circuit to make this happen. 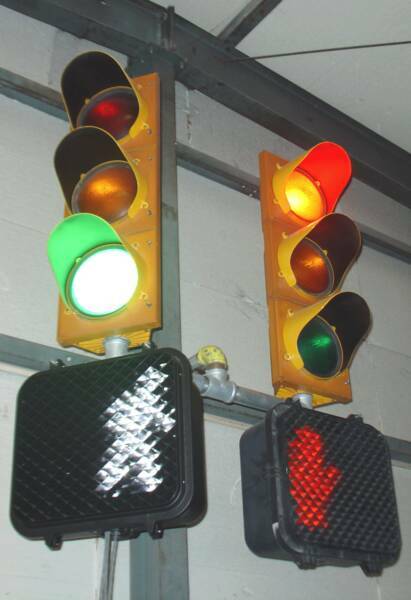 To the right is a picture of my first traffic signal. It is a Marbelite 8 inch signal head. Since then, I have added more lights to my collection. 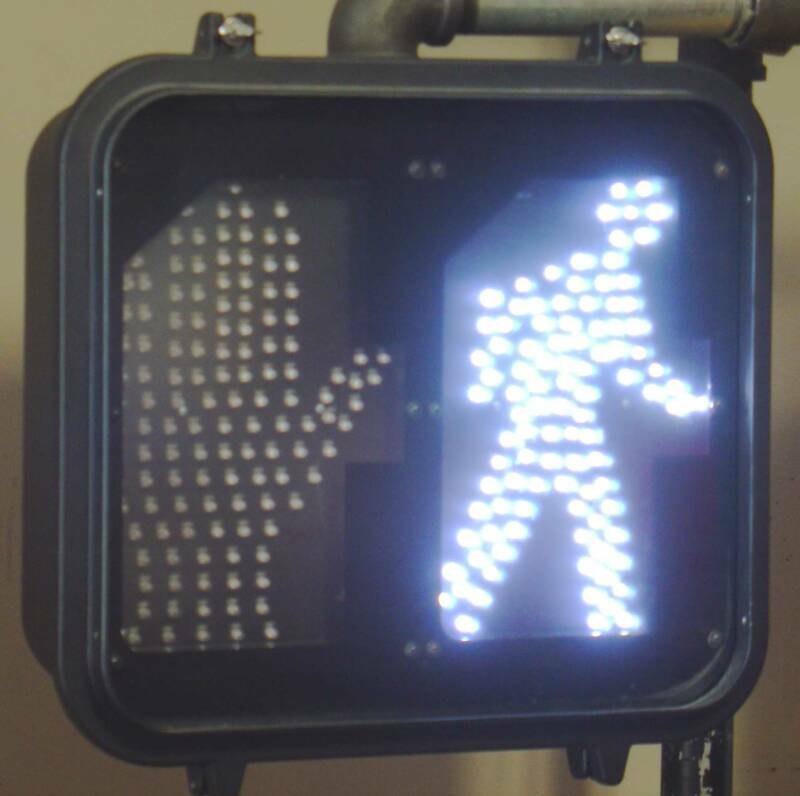 You can see these lights actually function on the Signal Animation Page! Then, there is the prize of my collection. 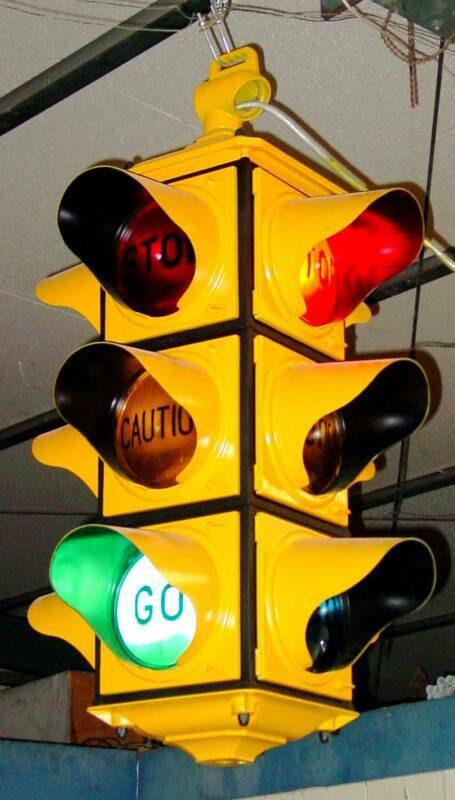 My Crouse-Hinds Type "D" fixed non-adjustable 4-way traffic signal. I found it at an antique shop. It was on a short little two foot off the floor stand and was painted white. It was wired to three switches and had all of it's original equipment. Right down to the rotted 50 year old cloth insulated wiring which shorted out and caught fire when I first powered it up! I took it home, took it apart, rewired it, sandblasted it, and then repainted it. The result is pictured to the right. 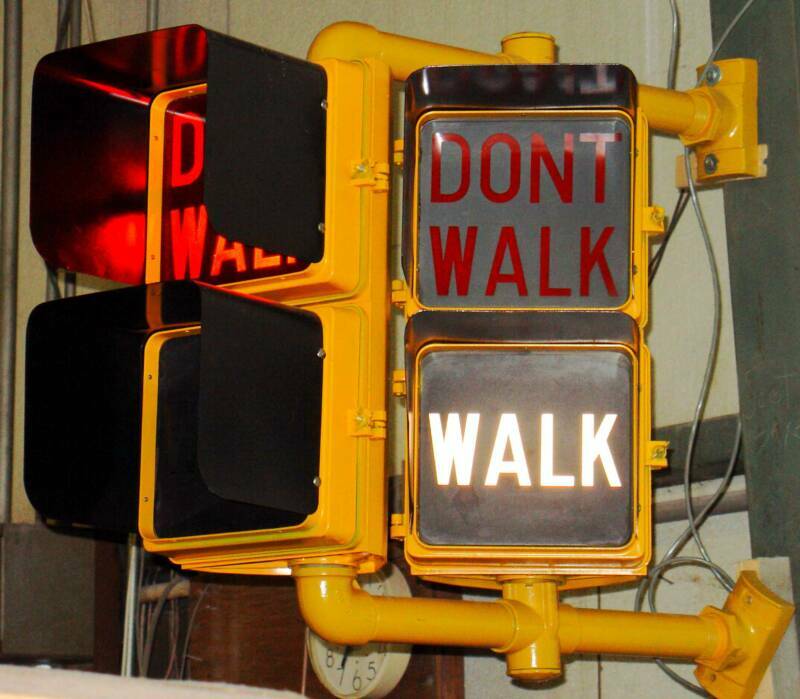 A fine traffic signal. 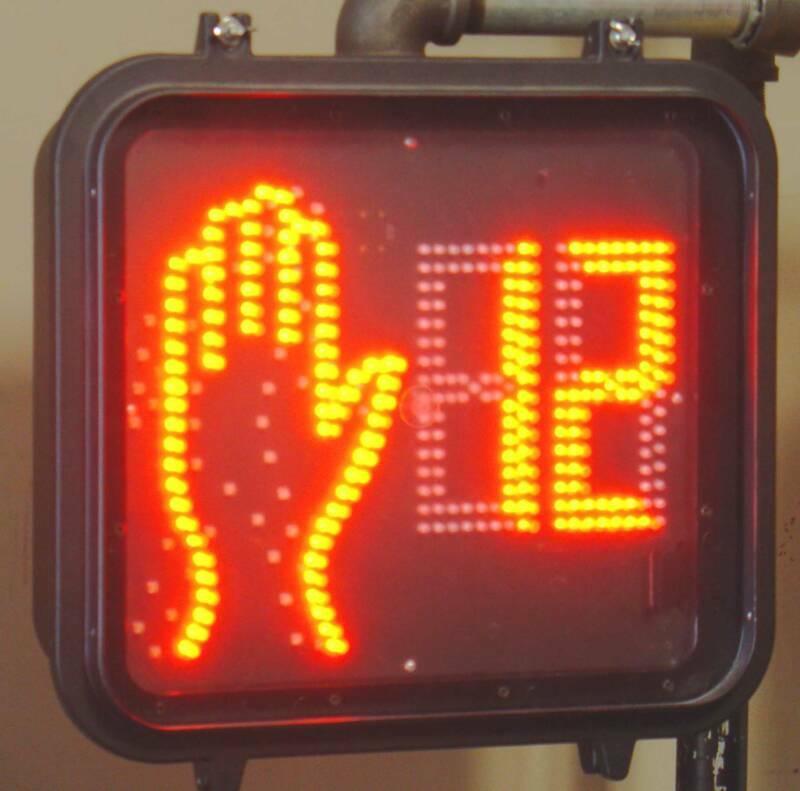 This signal is controlled by a matching Crouse-Hinds GS-4 Electromechanical controller. 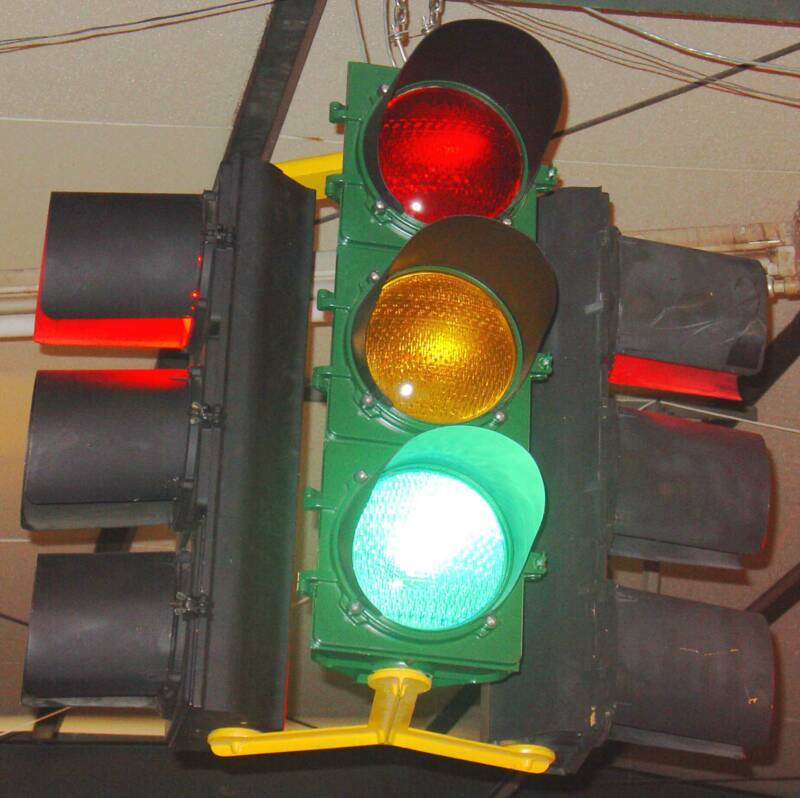 Click here to see a full restoration of a traffic signal! 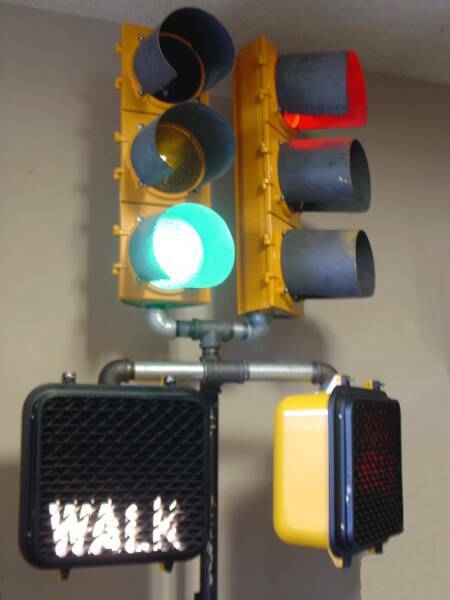 traffic signal lenses in my collection! 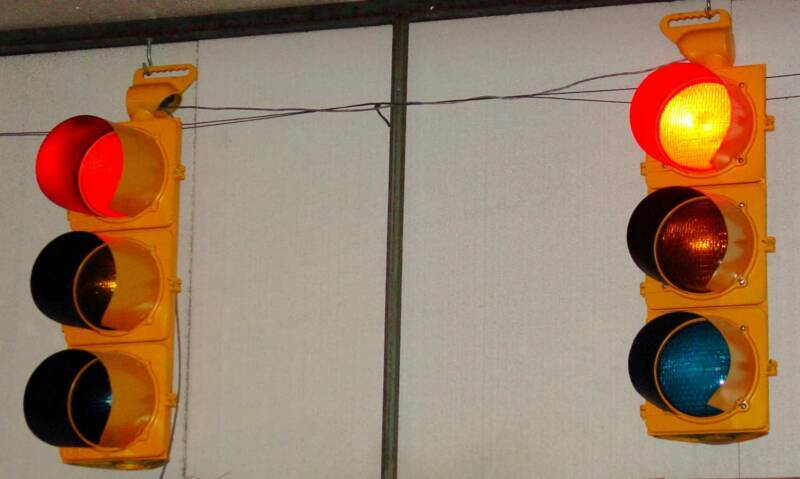 These signals are controlled by my 4 phase NEMA cabinet. The set up consists of three streets, MAIN ST, CROSS ST, and THIRD ST. You can see the controller for my "3 street intersection" on the Controller page. 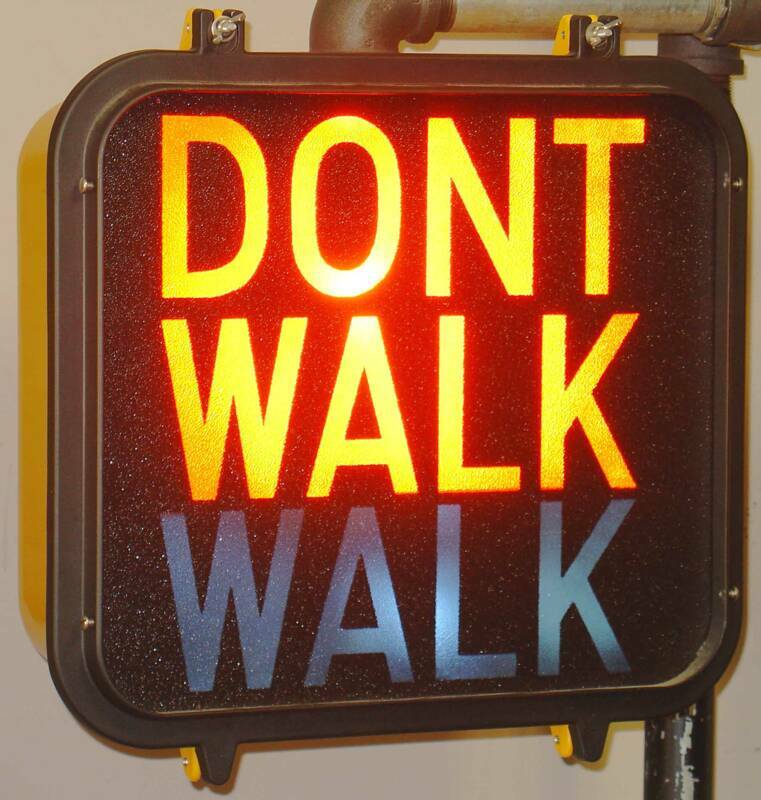 MARBELITE McCAIN INDICATOR CONTROLS INC.
As you can see below, all ICC Pedestrian Signals are not alike. They can come in many different EXCITING configurations! 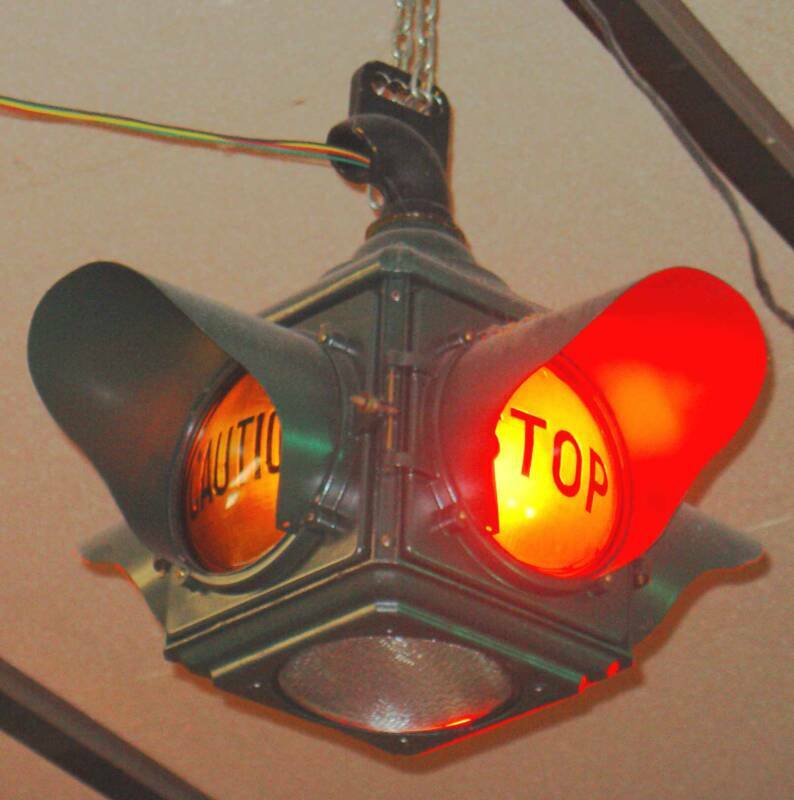 Above, a picture of two 8 inch US&S Model HC81 Rail Road Crossing Flashers. 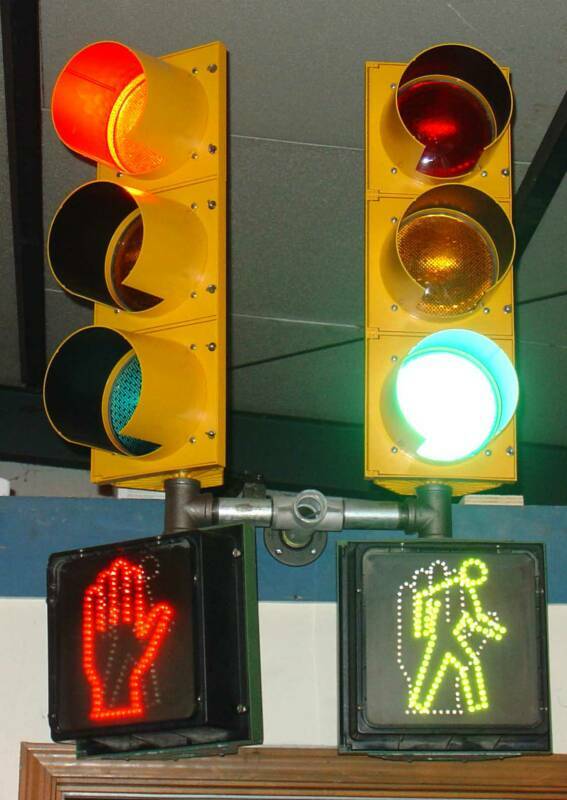 An interesting fact about these flashers, they run on 12 VDC! TRANSYT CORP. LIGHTS TO GO! 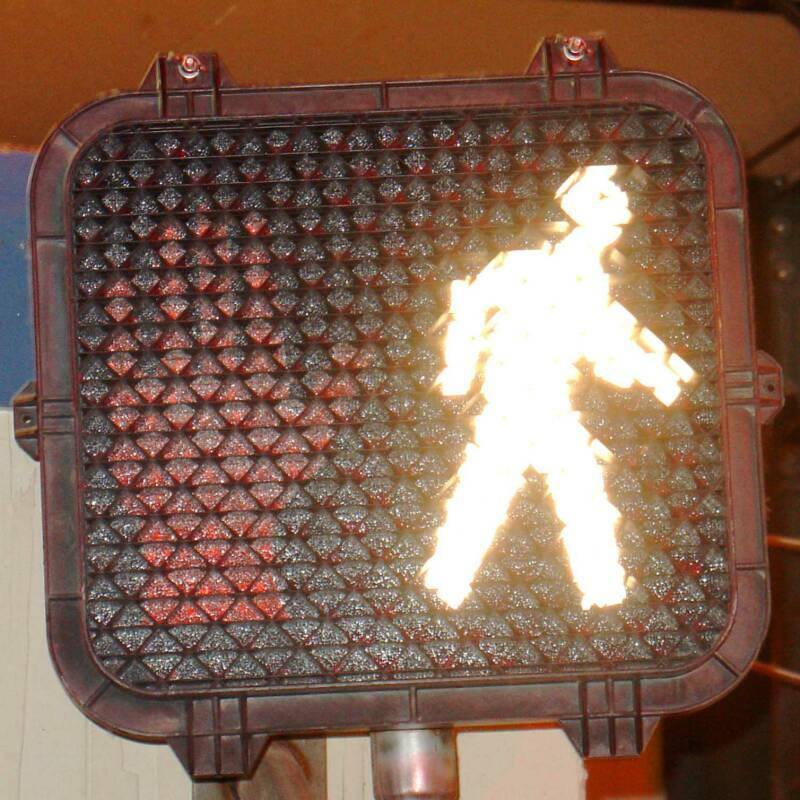 On December 2, 2008, I won this signal off of Ebay. 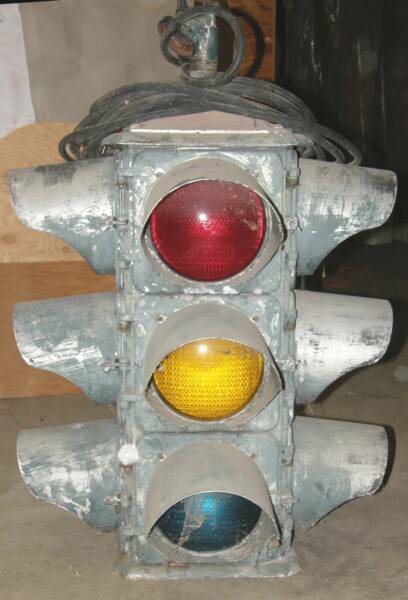 It is an Eagle 4-Way from around the early to mid 1950's. The picture on the left, shows the light as I recieved it. 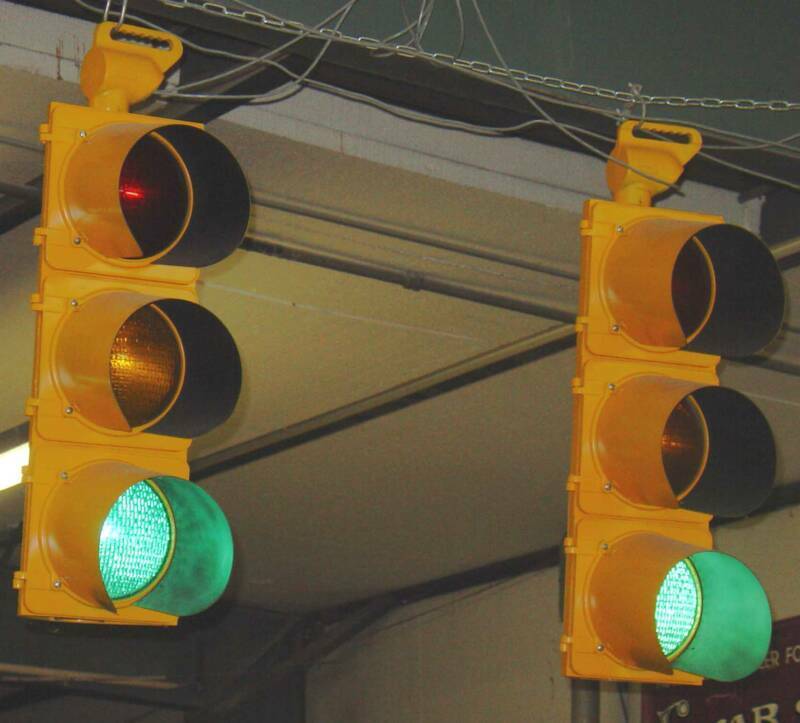 Most of my signals have come to me this way. This light was hit by a truck on the opposite side. It took a chunk out of the bottom, and the entire door for the green section... lens, visor and all, was ripped off. Not to mention it shattered the mirror reflector and took out the amber lens directly above it! So, it was in desperate need of repair and restoration. 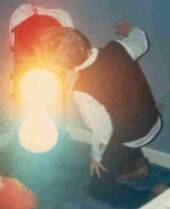 To the right is a picture of the exact same light restored to it's original glory! The signal is from Olympia, WA. and is controlled by a matching Eagle EF-20 Electromechanical controller.